There are usually a number of factors that motivate people to sell their homes. So, if you have a deadline to sell quickly, you may feel a lot of stress and uncertainty about your situation. This happens because most people who attempt to sell their home utilize the traditional method, unaware of effective alternatives. We invite you to allow Utah Realty to utilize a customized marketing approach designed to bring more buyers to your doorstep and enable you to choose the best offer for you! In many instances our marketing has driven our clients’ property price up and put them in the decision drivers seat! At Utah Realty you will receive service with over 3 decades of experience, that will simplify the process to sell your house quickly and for top Dollar! 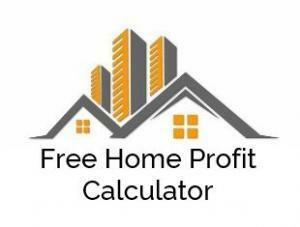 Act now and request your profit calculator quote today! The Home Selling Method That’s Fast, Easy and Stress Free! Are any of these reasons You Need to Sell Fast? We have encountered many reasons homeowners might need to get their home sold fast. Some of the reasons we have come across are inherited property, divorce, construction of new residence, distressed homes because of property condition, financial constraints due to medical problems, high utilities or neighborhood factors, road construction, transfers, etc. We know there are many other factors influencing your decision to sell your home quickly. Using Utah Realty is the best first call you will make! Burned out on the rental game? This is especially true of landlords that live out of town. Homeowners that have rentals sometimes are overwhelmed with landlord/tenant issues. There are instances of tenants that take advantage of the law and the system by living in homes as long as possible without paying rent. In our community there have been cases of persons who broke into a vacant property in order to establish a residence by trespassing (breaking and entering). The property has maintenance problems that have placed it beyond your ability to repair. Upkeep on homes can be overwhelming financially and emotionally. Sometimes homes with fire damage, flood damage, meth contamination or just structural damage may not be worth holding onto. Call Utah Realty for help and advice! You’ve Inherited a Home, Now What? Contrary to popular belief, receiving a home from a deceased relative’s estate is not always a gift, and dealing with probate in these cases can be complicated. Why not put our experience to work for you and save yourself the trouble? A new job moves you out of state or too far to drive, military deployment, Rightsizing or some type of family health needs can place you in a situation that you need to be closer to your priority. If you just lost your job. are nearing foreclosure, obtained a new job that does not cover your moving expenses and can’t manage your debt anymore, the smart option may be to call Utah Realty for answers and advice, its free! Put three decades of experience to work for you.